A Setswana custodian. A cultural stalwart. A father. A compassionate leader. One who enjoyed laughing and smiling. An unforgivingly concise teacher. These are the ways I will remember the person that the world got to know as Sir Quett Ketumile Joni Masire. When I first spoke to my mother about meeting him she nonchalantly said ‘What did Quett say to you?’ – in Setswana of course; both out of interest and vicariously living through me. That is testament to the way Sir QKJ Masire led the nation for many years; both in and out of office. He was a father, a friend, an approachable stranger, a teacher and so much more. It pains me that I am away from Botswana at the time of his passing simply because I will miss out on the way that we as Batswana mourn the passing of our dearest loved ones. This is someone who is more than deserving of remembrance. 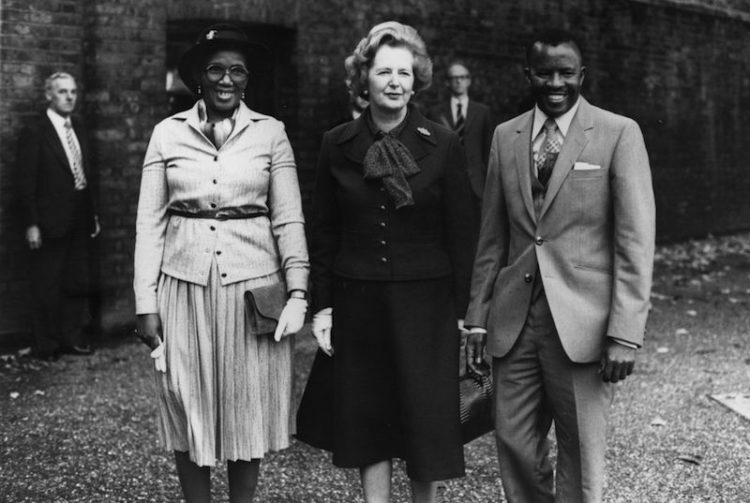 He took up the reins of leadership after the untimely passing of the first president of Botswana, Sir Seretse Khama, in 1980, having served as the deputy Prime Minister (1965–66) and then as Vice president and Minister of Finance and Development (1966–1980). It wasn’t until I was old enough to understand how great a role he’d played in my life that I could find the words and questions to ask this gentle man. He is basically my Botswana equivalent of Kofi Annan. He and Kofi are more than just names and roles, they embody their principles in everything they do. If a child kills its parents, they will listen to the rule of vultures upon their parents’ passing. Sir QKJ Masire voluntarily stepped down as president in 1998 after having served the nation for 18 years. 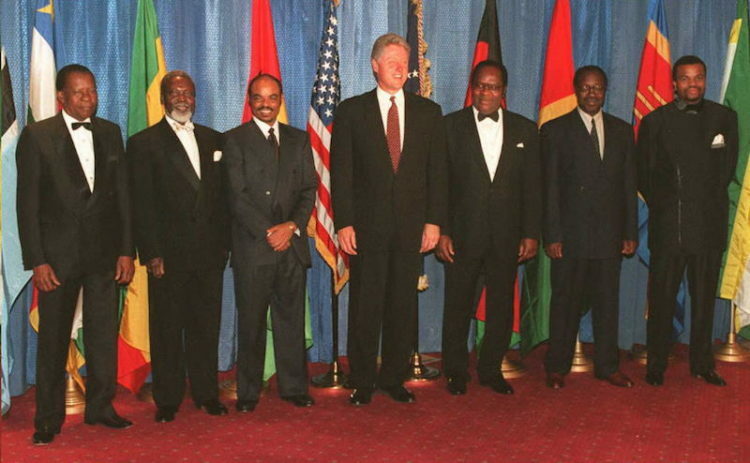 Subverting the broad brush stroke used to paint African leaders as power hungry and possessive, he truly personified a leadership that was based in servitude rather than holding a position. This was exemplified in his work after his presidency. The establishment of the Sir Ketumile Masire Foundation to contribute to the development of youth leadership in Botswana is only a speck in the landscape of impact his legacy has had on the country. One thing the world must know about us as Batswana is that we, culturally, call people by their first descendant and upon his rise to greatness he was known to us as Rra Gaone. Rra Gaone was both a biological and surrogate father; and I am more than proud to count myself and my mother among his surrogate children who loved him dearly. A friend recently reminded me of a time I asked Rra Gaone about elder leaders leaving space for young leaders and he responded: ‘Fa o bolaya rrago o ya go sala o reetsa molao wa manong a sule.’ – an extrapolation of a Setswana proverb that says ‘If a child kills its parents, they will listen to the rule of vultures upon their parents’ passing.’ I am more than happy, proud and honoured to say that his lessons will not be lost on me. The world may mourn a man who was a national leader. Botswana may mourn its second president. His children and descendants will mourn a man they laughed, cried and danced with. I choose this moment to remember the gentle gazed person who looked into my eyes and shared frank wisdom. A man I sang one of my favourite songs for in his garden. 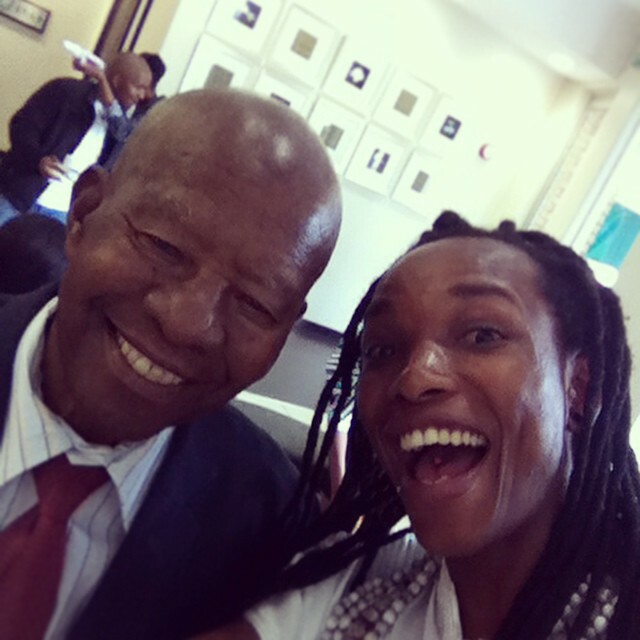 A former president to whom I said ‘Let’s take a selfie!’ and he obliged. The only reason I am saddened by his passing is that the next generations will have to learn of him as someone who once was, but I am so glad that his ocean waters fed into my life stream. It is with these few word I say: Robala ka kagiso motho wetsho. O sale o re eteletse pele ka lorato le boikobo. O reeditse, o amogetse, o rutile. A marapo a ye go beng. Rest in peace my kin. You have since led us with love and humility. You listened, you received, you taught. May your bones return to their origin and rest in peace. Sir Quett Ketumile Joni Masire (23 July 1925 – 22 June 2017) will be more than missed.